Click Above To Take Our Water Survey! Take advantage of Upgrade Days from April 1st to 30th. 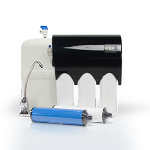 Why Is Aqua Systems Equipment Superior? “Awesome! Would definitely use them again. Very professional and explained procedure in detail.”- P.N. 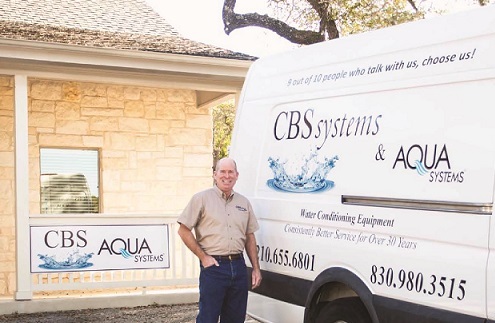 Welcome to CBS Systems, Inc.
We are a Greater San Antonio Area-based water treatment company that specializes in water softeners, drinking water systems, water purification, problem water solutions, and large-scale water solutions for residential and commercial businesses. Our purpose is to provide you, the customer, with outstanding service and quality performance from our products. We pride ourselves on providing excellent customer service as well as a reliable product and job well done. A Note From Bill Clark, President of CBS Systems, Inc. I am, rightfully, proud of my water treatment expertise. I started this company in 1983, when I was 23 years old, and have been continuously growing and expanding the company ever since. My commitment is to provide you with the best service possible. I am, earnestly, interested in solving your water problems and I am always more than willing to share my knowledge of water treatment with you. We treat all of our customers like they are our neighbors and we will go above and beyond to prove that CBS Systems, Inc deserves your business. Thank you and I look forward to helping you! 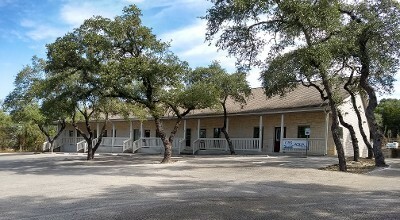 Don't miss out on the latest info and specials!